You are cordially invited to a wedding. 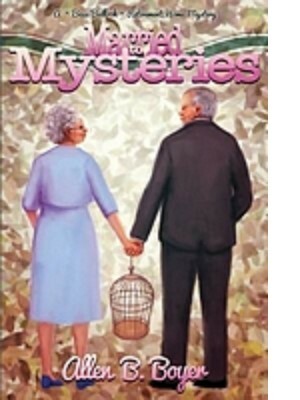 But before retirement home detective Bess Bullock can walk down the aisle, she has a few loose ends to tie up. Like the case of a mysterious bird cage where two birds have died on the same day for two consecutive weeks. Then there’s the secret behind a resident’s obsession with finding a stuffed fox at the Honey Hills’ Community Yard Sale. Even a bus trip to the beautiful Rockwell Gardens leads Bess to a mystery involving an ages old infidelity and the yearly revenge carried out by a bitter widow. With the big day drawing near, Bess finds her wedding plans are taking a back seat to her investigations, which is just fine with this gumshoe granny.